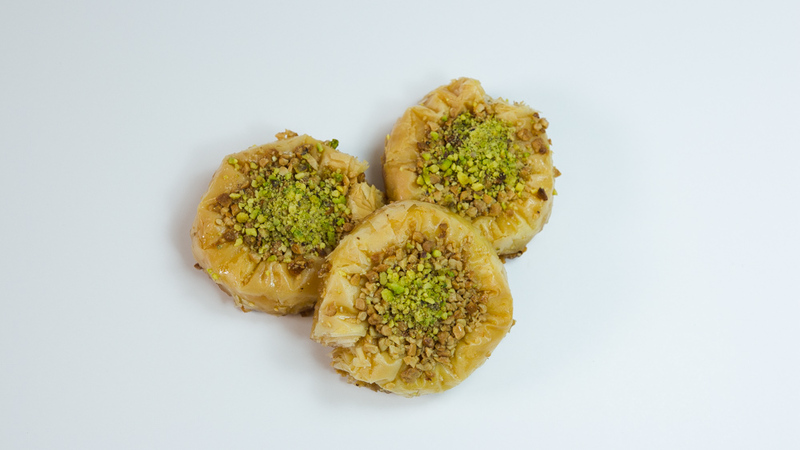 Our classic round cashew baklava. The original. 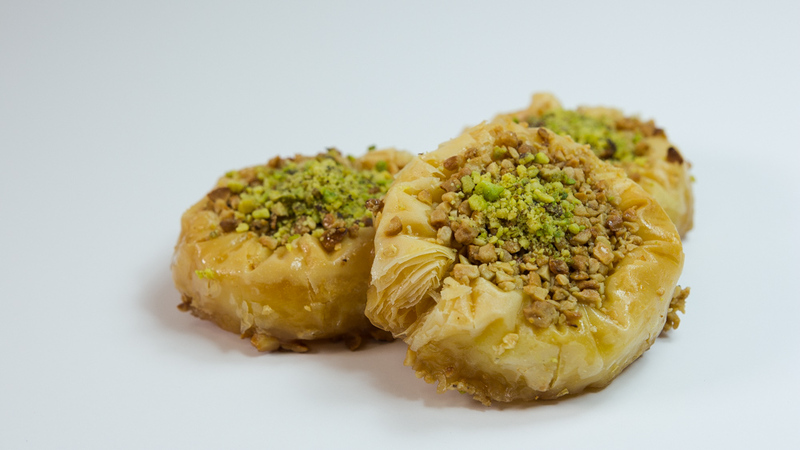 Ingredients – Filo Pastry, Ghee, Cashews, Sugar, Pistachio.